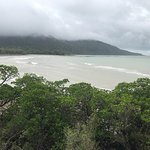 Honored as a UNESCO World Heritage Site since 1988, Daintree National Park is a great destination for sampling the exceptional biodiversity of the Wet Tropics of Queensland. Your full-day adventure begins with pickup at your Cairns or Port Douglas hotel and a scenic drive north along the rugged Coral Sea coast. Your first stop is Wildlife Habitat Port Douglas, an eco-park where you can observe the unique wildlife of Australia’s rainforest, wetlands and grasslands. Browse the well-designed habitats to observe cassowaries, koalas and crocodiles, and hand-feed friendly kangaroos and wallabies. Continue on to Mossman Gorge on the southern border of Daintree National Park. Take a guided nature walk through the rainforest, keeping an eye out for native species like the Ulysses butterfly and Boyd's forest dragon. Observe the lush landscape from platforms above the Mossman River and learn about the customs of local Kuku Yalanji people. Cross the Daintree River on a ferry, and make your way to Cape Tribulation. Admire spectacular views from Mt Alexandra Lookout, where you can see all the way to the Great Barrier Reef on a clear day. At the Cape Tribulation Beach House, stop for a delicious lunch featuring your choice of steak, locally-caught barramundi or a vegetarian option. After lunch, enjoy leisure time to stroll along the white sandy beaches and boardwalk at Cape Tribulation, swim in a nearby tropical pool or take a dip in the Coral Sea (depending on the season). Finally, take a 1-hour cruise along the Daintree River, where you can spot saltwater crocodiles, reptiles, exotic birds and butterflies that make their home in the mangrove wetlands. On the return drive south, make one last stop at Rex Lookout before your full-day tour concludes with drop-off at your hotel. Had a great day on the Cape trib tour! Visited some awesome places and we enjoyed every minute of the day! Got a little more than bargained for with the tour guide though! This tour has a little bit of everything, and all together, it was a fun day and a great, easy way to see the area. Our driver and guide, Daniel, was excellent--he is very knowledgeable and provided clear instructions and information throughout the day. Amazing experience! Luke is the best! 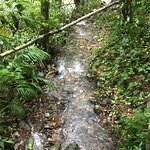 Get quick answers from Daintree Rainforest, Cape Tribulation and Rainforest Habitat Wildlife Sanctuary Day Tour staff and past visitors. Do you pick up from the Cairns Hilton? I did not see a location on the trip advisor website to input a pick up location. How are we to let you know where to pick us up? Thanks for consideration. Is the Cairns Hilton a location you would pick up from? I would like to book the tour thru trip advisor, but I did not see a spot to input our location for pick up while booking this tour. However I dont see why not.